Is It Safe to Travel to Beirut? This question has been popping up on my radar recently. Some friends cancelled a plan to visit because of concerns over safety. A US-based reader of my blog contacted me to ask me if I found it safe. On the Facebook page of a fellow expat in Lebanon, I saw the same question posed by one of his friends. Every time I’m back in Seattle, it’s the first question my mother’s friends ask, clucking over me and my family with worry. If my posts are still coming from Beirut, I still feel safe here. 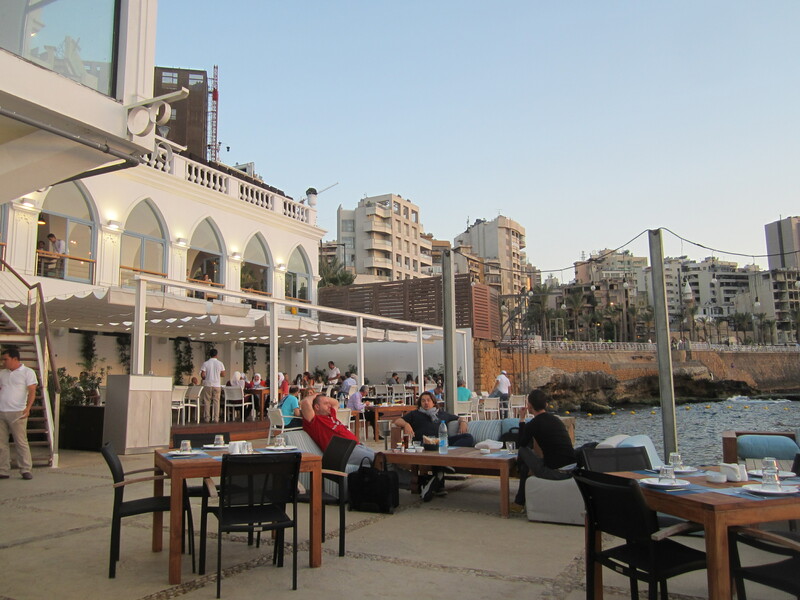 The seaside restaurant we ate at our first evening in Beirut. We dined here again last night, to commemorate our arrival to Lebanon. Yesterday my family celebrated three years of life in Beirut (!!!). To date, the situation felt really dicey only once so far in those three years, back in the fall of 2013, when Obama was threatening Syria with air strikes (everyone was worried what the spillover into Lebanon would be). The rest of the time, life is surprisingly normal, almost mundane. We go to restaurants and the movies, take hikes in the mountains and swim on the shore. The kids go to school and gymnastics classes, I write, hubby heads to the office. For the most part, incidents that make headlines happen far from central Beirut, where we live. While some cities and countries are safer than others (of course! ), there is hardly anywhere that is perfectly safe all the time. We’ve seen mass shootings everywhere from a movie theater in Colorado to a youth camp in Norway, terrorist attacks in cities from Mumbai to Nairobi to New York, and “regular” violent crime, well, nearly everywhere. Beirut’s violence is infrequent, but when it occurs, it is headline-grabbing spectacular. Like airline accidents, a car bomb is incredibly unlikely to occur, but the dramatic and heartbreaking results leave their imprint on us and, as terrorists hope, instill fear. So is it safe to travel to Beirut? “While there are never any guarantees, Beirut is really totally fine, as is much of the country. Kidnapping of foreigners is not an issue in Lebanon. So don’t stress about that. Not even pickpocketing is an issue. The worst case scenario is to be in the wrong place at the wrong time. But things are calm enough now that even that is not a reason that I feel is worth getting dissuaded over. 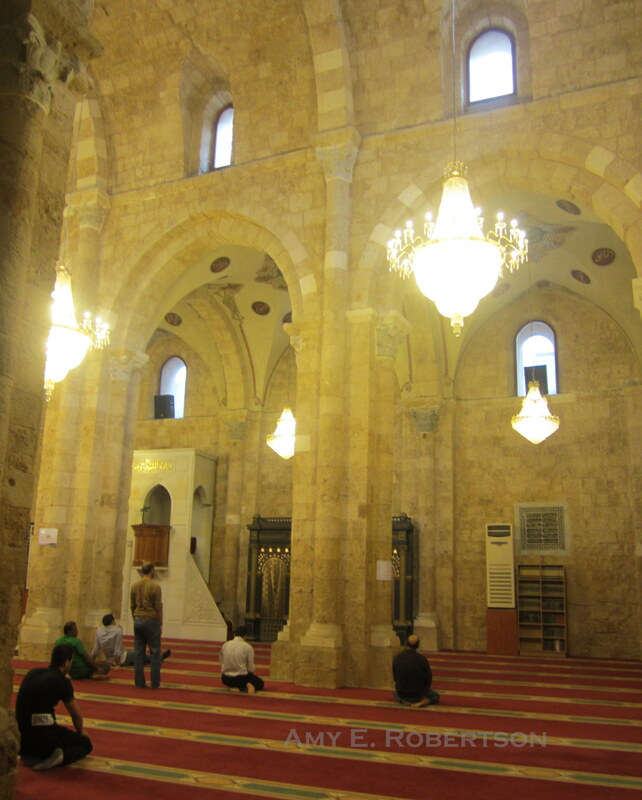 There’s plenty to see in Beirut – the downtown area has a couple of nice mosques, the Robert Mouawad museum and the National Museum are interesting, and you can’t miss a night on the town in Mar Mikhael, the current hipster center of Beirut. Rooftop bars are opening soon too, and those are world-famous. Byblos is a must-see, and not far from Tripoli. As I mentioned, your colleagues would be best suited to tell you how safe Tripoli is. They know their own city well, and would be able to ensure to keep you out of the sketchy neighborhoods. If there is any kind of flare-up in Tripoli, an alternative could be to meet them in Byblos, which is only a 20 minute drive away, but VERY safe at all times. If you have a day to spare, you may want to consider visiting the Roman ruins of Baalbek. They are absolutely amazing, but a 3-hour drive away. If you’re on your own, you can book a day trip through an agency like Nakhal or Kurban travel. Staff prepare a waterfront cocktail bar for the evening guests. 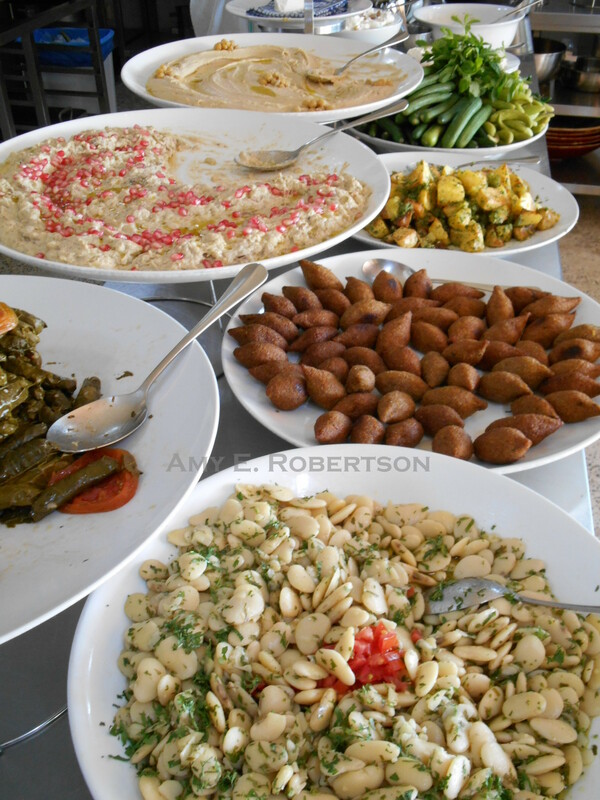 So if you’re thinking about visiting Beirut, here’s my advice: leave your fears behind, and come! Note: No matter where in the globe you find yourself, it pays to seek out and heed local advice on safety questions such as where to go and where to avoid, how late at night to stay out, and how well you need to hide valuables when out and about. Over a recent coffee with two Lebanese friends, I discovered that neither of their daughters, ages 8 and 9, know how to ride a bike. It seemed surprising, until you think about the lack of public spaces in this concrete jungle. Narrow sidewalks are overtaken by parked cars when they aren’t full of people, and streets are equally narrow and clogged with traffic. There isn’t much place to take a bike ride in Beirut. The exception is the waterfront. At the famed Corniche, bikes are best ridden at off-peak times, when you don’t risk running down any of the hundreds of men, women and children that love to take a morning/afternoon/evening stroll along the boardwalk that lines the seafront. 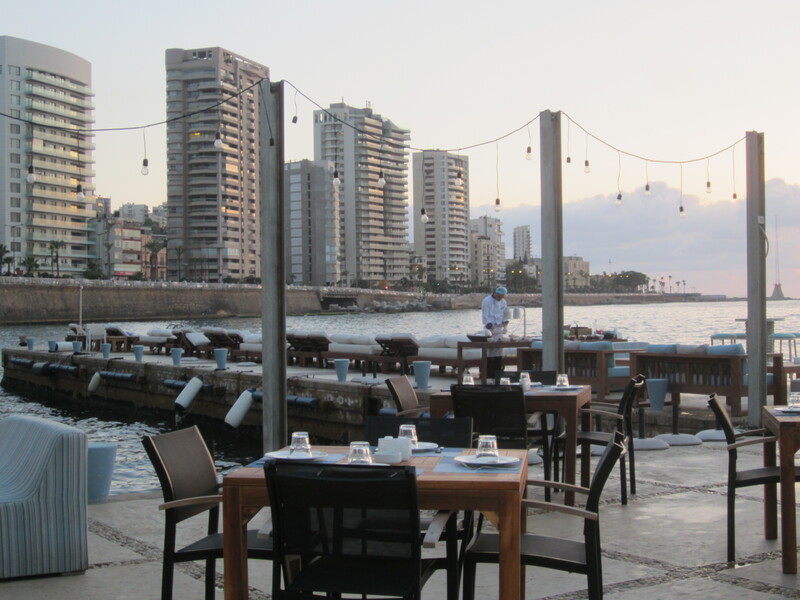 A better choice for an easy bike ride in Beirut is at the bland but uncrowded waterfront at BIEL. The company Beirut by Bike noticed that too, and have set up shop with hundreds of bikes for rent. But what about those girls who haven’t learned how to ride a bike? Do they have to miss out on the fun? Cleverly, Beirut by Bike’s stock of rentals isn’t limited to two-wheelers. Tricycles are as popular with adults as they are with kids, and BbB stocks the trikes in a variety of sizes. While there a couple of other bike rental shops around town, BbB is single-handedly managing to change the conception of biking in Beirut. They sponsor night bikes on Friday evenings. Hosted a 13km bike-a-thon on October 5 with 1,650 participants. This Saturday (the 18th), BbB is the sponsor of a fundraiser for the National Organization for Organ & Tissue Donation & Transplantation (NOD), where L.L. 10,000 (US$7) gets you a bike & helmet rental, plus water and a t-shirt from NOD, with all proceeds going to the charity. Sunday (the 19th) BbB will be back on the roads, this time in Dbayeh, co-sponsoring with the sporting goods store Decathlon a fun ride with professional cyclists. They even offer free lessons to teach you how to ride a bike (by appointment and weekdays only). Beirut by Bike is doing an admirable job of making biking a sport accessible to all. Other noteworthy efforts include the company Outdoor Generation, which offers cycling classes and tours for children and adults; a feasibility study by the Beirut municipality to develop a bike route through the city, and another study for a bike route along the northern coastal road; Deghri, the Arab world’s first bicycle courier service; and Cycling Circle, a club that organizes events such as the upcoming costumed Halloween ride on October 31st (event details available here). The Lebanese are a determined bunch. Despite pollution, traffic, and general lawlessness on the roads, they are managing to develop a vibrant biking culture. I’m impressed. Our family just came back from a spring break vacation in Jordan. Floating in the Dead Sea, wandering the ruins of Petra (remember the temple in Indiana Jones and the Last Cruisade? ), and a night in the desert at a Bedouin camp were the highlights of our trip. I realized that my son’s response showed just how settled in he feels in Lebanon. At home. And I thought about the desert Bedouins, making their home in a tent under the stars, moving it as needed to keep their goats or sheep near food and water. Our children are like the Bedouins – with souls prepared to wander and travel, but making each stop home. It’s clear my son does. And I realized that I do too. Jordan was an amazing trip. But returning to Lebanon, it felt good to come home.